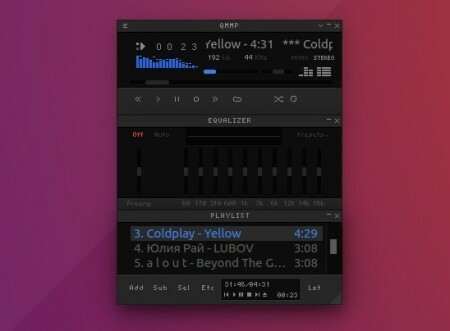 Qmmp, a Qt-based music player with winamp or xmms like interface, reached the new major 1.2.0 (and 0.11.0 for Qt4) release with many new features, improvements, and some bug-fixes. Qmmp has an PPA repository that offers the latest packages for Ubuntu 12.04, Ubuntu 14.04, Ubuntu 16.04, Ubuntu 17.04, Ubuntu 17.10, and their derivatives. The commands install Qmmp 1.2.0 (Qt5 version) in Ubuntu 16.04 & higher, and Qmmp 0.11.0 (Qt4 version) in Ubuntu 14.04 & Ubuntu 12.04. 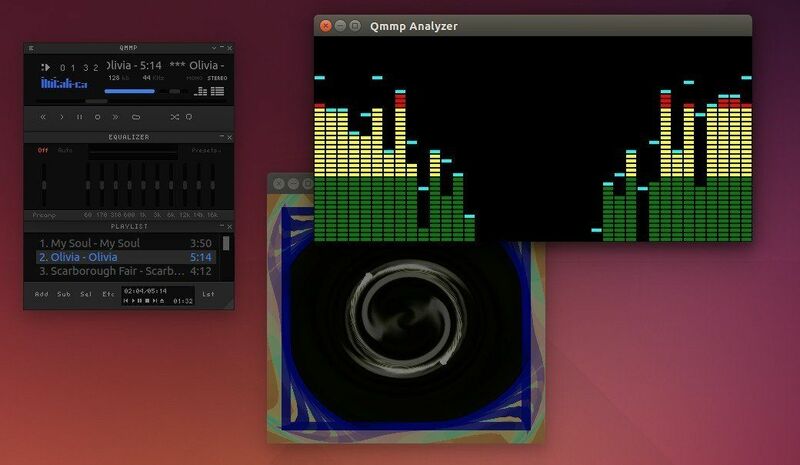 Qmmp, an Qt based and winamp or xmms like audio player, has reached the 1.1.10 (and 0.10.10 for Qt4) release last night. Qmmp has an PPA repository that offers the latest packages for Ubuntu 12.04, Ubuntu 14.04, Ubuntu 16.04, Ubuntu 17.04, and their derivatives. The commands install Qmmp 1.1.10 (Qt5 version) in Ubuntu 16.04 & higher, and Qmmp 0.10.10 (Qt4 version) in Ubuntu 14.04 & Ubuntu 12.04. 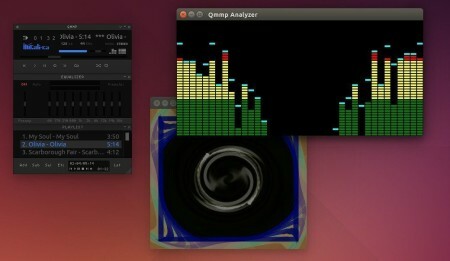 Qmmp, Qt-based audio player with winamp or xmms like user interface, now is at 0.9.0 release. PPA updated for Ubuntu 15.10, Ubuntu 15.04, Ubuntu 14.04, Ubuntu 12.04 and derivatives. It also improved playlist changes notification, playlist container, sample rate converter, cmake build scripts, title formatter, ape tags support in the mpeg plugin, fileops plugin, reduced cpu usage, changed default skin (to Glare) and playlist separator. New release has been made into PPA, available for all current Ubuntu releases and derivatives. 1. To add the Qmmp PPA.